There will be no worries about what's for dinner with your slow cooker. Your slow cooker can simplify dinner, letting you prep it in the morning, then go about your day. For many dishes, the slow cooker is a carefree cooking option, but quick cooking foods like noodles pose more challenges. Make worry-free noodle dishes from chicken noodle soup to macaroni and cheese by following simple slow cooker guidelines. There's one foolproof way to combine noodles or pasta and the slow cooker: once you're nearly ready to eat, cook your noodles in a pot on the stove top. Drain the cooked noodles, then stir them into the prepared dish in the slow cooker. If you won't be home to add noodles late in the cooking time, this easy option works, and still gets dinner on the table in less than 15 minutes. If you're at home when your slow cooker is simmering away, you can stir in dry egg noodles or pasta once the meat and vegetables in your dish are fully cooked. Make sure your soup has plenty of liquid before you add starchy ingredients. Add your noodles, then cover and leave the cooker to do its job for another hour. Keep in mind that you'll need a bit less pasta than you might think, so add 1/4 cup to 1/2 cup for a 4-qt. slow cooker. If you'd like to finish off a traditional baked pasta, like macaroni and cheese or family-favorite tuna noodle casserole in the slow cooker, you'll need to cook the pasta or noodles and sauce separately, then mix all of your ingredients together. Season your dish easily by using a dry salad dressing and seasoning mix when you make the sauce. Add the ingredients to your slow cooker and allow it to cook on low for two to three hours. Pull your pasta just a bit before it's done to ensure that it's done -- but not overdone -- when you're ready to serve dinner to the family. While this isn't a labor-saver, it can let you prep dinner before the kids get home or keep it warm for late arrivals. 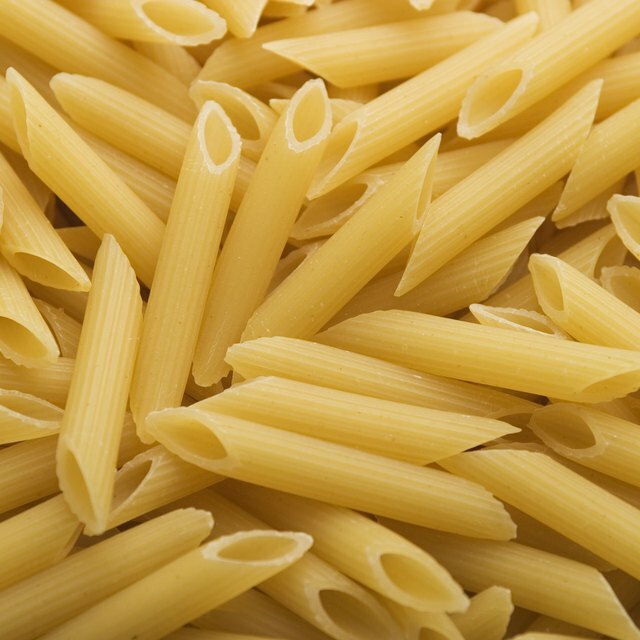 You can also cook traditional pasta dishes, like lasagna or baked ziti, in your slow cooker. While a slow cooker pasta casserole uses all the usual ingredients, you'll need additional liquid, allowing five to six cups of sauce for 12 oz. of noodles. Layer or combine the ingredients, then cook on low for three to four hours.